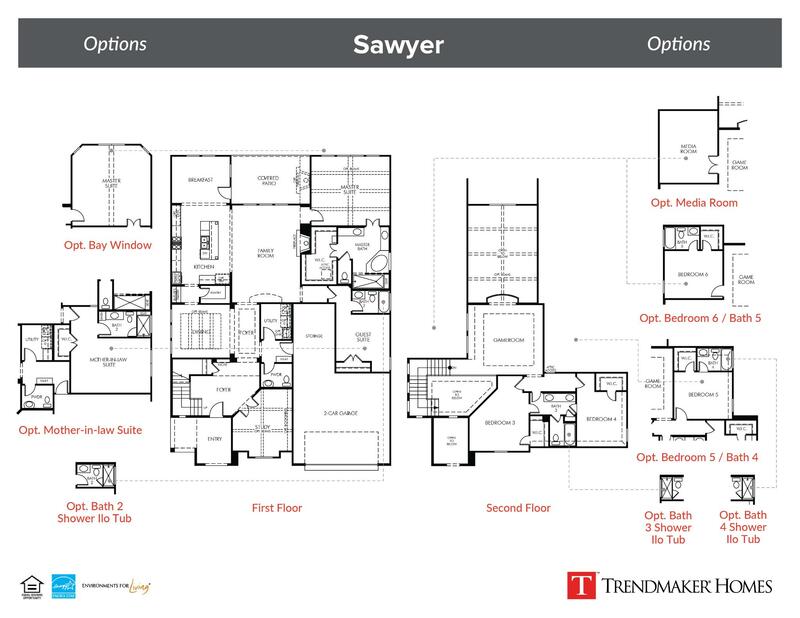 Featuring a grand foyer bordered by a beautiful staircase and private study this plan provides an expansive, flowing layout. The heart of this home is made up of a luxurious kitchen complete with a large cooking island with additional seating, stainless steel appliances, ample storage space, a big walk-in pantry, private dining room, and breakfast nook with access to the covered patio. The spacious family room includes a cozy fireplace that family and guests are sure to enjoy. The master suite is located on the first floor and includes a gorgeous master bath with split vanities, corner tub and large separate shower, and a roomy walk-in closet with access to the attic. Perfect for hosting out-of-towners is the guest suite with private bath additionally located on the first floor. The second floor provides a separate game room and additional bedrooms with a full bathroom.